Happy Monday to all n-Track 8 users... version 9 just popped up, and it’s a free upgrade. Is it support Files app? So i have not tried ntrack, what does this have that cubasis does not ? 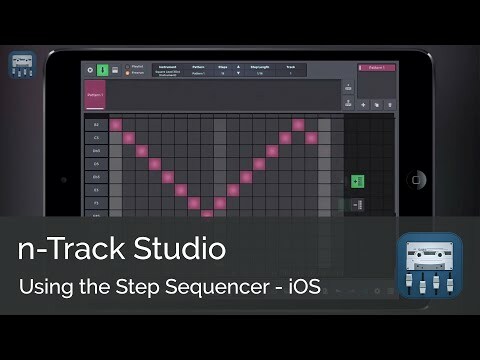 Did not see Link mentioned..
Oh well, it's a nice DAW, the Step Seq is unique... No Link, sad..
You refer to missing audio tracks? Also, sequencism has AU MIDI, which is not such common already. But yes, I still prefer Cubasis and yes, sequencism is not a DAW. 1) Did n-Track 8 also sport those ugly graphics of instruments? Nearly looks like GarageBand...this is a look, I realy hate. I just reported what I saw. A realy ugly graphic that I cannot remember from version 8 and that reminded me of GarageBand. And before being able to test anything, it crashed - killing and starting again several times did not help! That did not wet my appetite, sorry. For a 32 Euro App, this is abysmal, to be honest. If developers don't test on current platforms, they need to deal with such reports as mine. And I did NOT dash out a 1 star review in the App Store - I will, instead test the next update again. And if it still crashes, I think I will not bother again. You seem to have problems with such straight information, which is a bit strange for me. This was not my goal, sorry. You’re obviously really into the software side as well as the sounds (as am I) so I shouldn’t dig at you. My apologies. It made me laugh but I should be more respectful. @tja I was a beta tester on this new version along with others, and I did not have any crashes, it was actually quite nimble and smooth on my testing. Please don’t blame n-track for not testing, that is not the case. Their team is pretty fast at responding to crash reports, and can usually fix problems quickly provided they have the specifics. The big feature on this update (that I can’t find available on Auria or Cubasis) is PITCH CORRECTION for Vocals! It works very well (okay, it’s not Antares or Melodyne) and was smooth enough for real-time correction of my crappy singing. Crashed after trying to record midi on an AU instrument track after about 2 bars let’s see what response I get from the e-mail I sent them. So I was too fast again, it seems. Just my initial impression and I was hurrying to go to bed. I will download again in the evening and see if it crashes again. As I am not singing (be happy about this ) this feature is of less interest for me. I downloaded again and it crashed with the first au I loaded (Syntronik) tried again and it seems ok.
Wow! Who would say: it was n-track that finally brought a reasonably decent pitch correction tool to iOS. Thanks for sharing this! By the way, the Desktop version has also transient warping. Does the iOS app also have it? 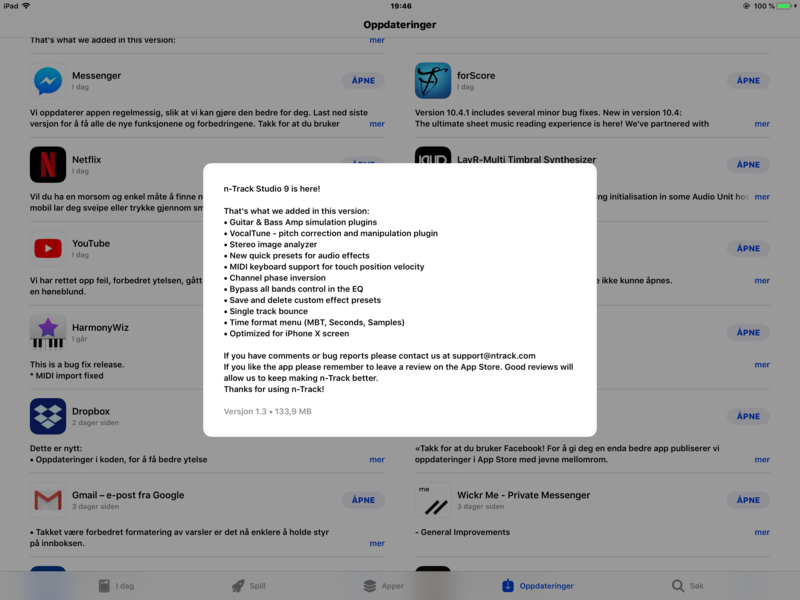 - sending audio from Audioshare automaticly puts it on a track. I wish cubasis did this. - the five point editing of a clip (overall volume and faders) changes the display of the waveform. I wish cubasis did this. - pitch option has ‘speed follows pitch’, meaning non timestretch speed adjustment. This is huge for me. I wish cubasis did this. -track minimize and maximise works well. I wish cubasis did this. -moving the playhead at the top is super frustrating as I end up dragging down the iOS message window almost half the time. On paper the feature set was a good contender, with the exception of not being able to select/edit multiple objects. Did someone try the pitch correction?